After every win the Chicago Cubs raise the iconic "W" flag above Wrigley Field to alert passers-by of the team's success that day. 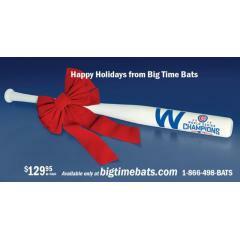 The "W" Flag now flies in celebration of the team's 2016 World Series Championship and you can "Fly the W" all year long with this fine piece of Cubs team memorabilia. BOW IS NOT INCLUDED. 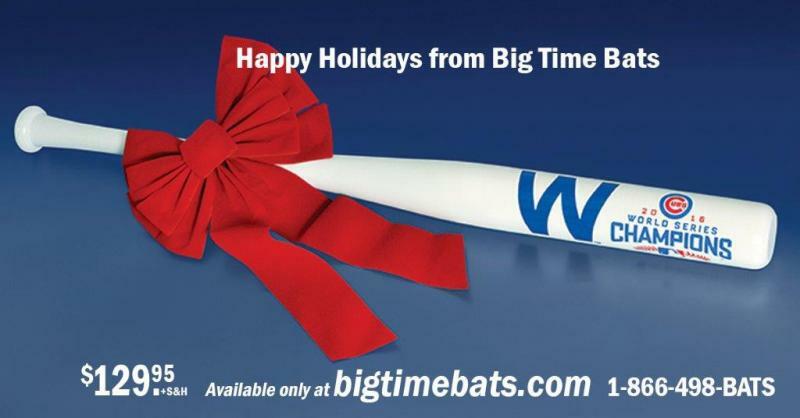 To help fans celebrate the Cubs' 2016 World Series Championship we are pleased to announce the recent release of this full-size White Maple W Flag Bat featuring a big and bold Blue W, the Cubs 2016 World Series Champs logo and a list of team stat leaders, All Stars, NLCS MVPs and World Series MVP from the 103-win 2016 season. This is a handsome piece of Championship Season memorabilia that any Cubs fan would love to display in their home or office. Order yours before they are gone. The bat shown is a sample. Bryant NL MVP acknowledgment will be added to the final product. Due to the limited nature of this offer we must charge your credit card for the full amount immediately upon taking your order. This policy ensures we reserve a bat for you. We will confirm your order by Email. This bat is not game used. Please allow 4 to 5 weeks for delivery. This bat is officially licensed by the MLB and MLBPA. 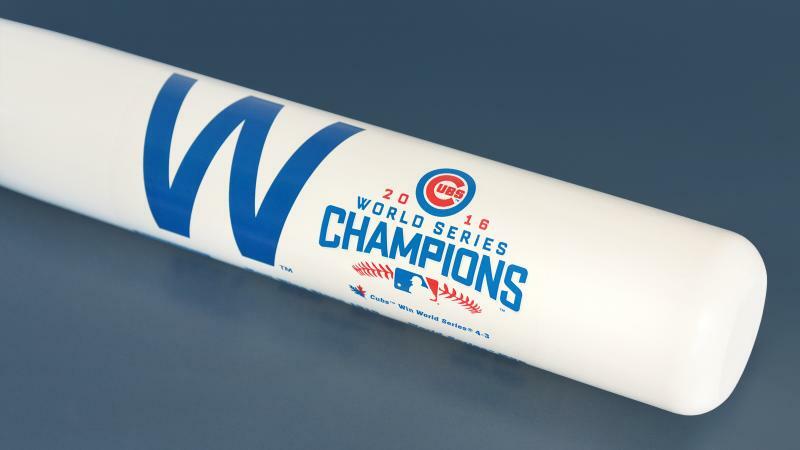 Cubs 2016 World Series Champs "W" Bat $129.95 Sold Out!